While many organizations and governments use the term Global Warming, there is no universal definition for Global Warming. There is, however, a general understanding of what the term references. According to the Natural Resources Defense Council, global warming is any increase in the average temperature of the earth's surface. This increase may be caused by natural occurrences within the earth's atmosphere or by man made influences. 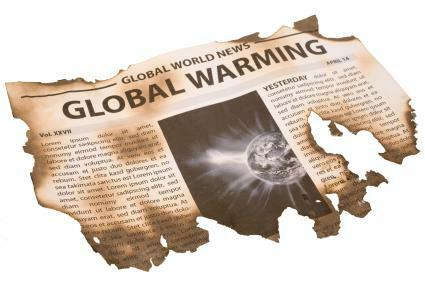 Global warming is caused by an increase in greenhouse gases. Greenhouse gases occur naturally within the atmosphere at levels that are not detrimental to the environment. The earth does an outstanding job of balancing each of its processes in order to keep everything in check. However, when mankind's efforts to "improve" life interfere, the balance is interrupted. The Environmental Protection Agency reports that the Intergovernmental Panel on Climate Change (IPCC) predicts that global temperatures will rise, as will sea levels, with the increase in greenhouse gas emissions. Additionally, precipitation patterns are predicted to change. What is not known, however, is the extent to which the earth will warm, how fast this will occur and how the earth will be affected, including climate systems and storms. One thing that is definite, however, is levels of carbon dioxide (CO2) are increasing. The buildup of carbon dioxide and other greenhouse gases is the result of human efforts to better life by burning fossil fuels and industrializing society. From 1906 to 2005, it's documented that the earth warmed 1 to 1.7 degrees Fahrenheit. The greenhouse gases in the atmosphere right now are predicted to remain there for decades to centuries. This will cause the potential build up of even more gases over time, causing even more global warming effects. Already, changes in the climate can be seen. The predictions about El Nino and other weather patterns came true. Along with record-breaking heat and cold throughout the world. Another change in climate that is obvious is the less predictable weather. Typically, certain areas of the world have weather that follows normal trends with average temperatures and average precipitation levels. In the past decade, these norms and averages have become less and less predictable. Major snowfalls and blizzards have been more common, in addition to droughts and flooding in areas never flooded before. These changes in climate can be attributed to an increase in greenhouse gases and global warming. It's difficult to change the effects of global warming as just one individual. However, you can make significant efforts at home to help decrease the effects. If you and many others do these things, it will make a significant difference in years to come. Change five lights: By replacing the conventional light bulbs with more efficient light bulbs having the Energy Star in your home's light fixtures you will be helping to save yourself some dollars in energy bills but also working to help the environment. If every household in the United States did this it is reported that greenhouse gases equivalent to the gases emitted from nearly 10 million cars would be eliminated from the environment. Use Energy star products: Buy appliances and other electrical accessories with this standard. Heat and cool better: You can do simple things like conducting annual maintenance on your furnace and air conditioner and cleaning your air filters. Choosing high efficiency models will help, too. Insulate your home: It's a smart thing to inspect your home and seal up any leaky windows or seams to reduce the amount of outside air coming in your home. By insulating your home better, you'll be keeping your home the temperature you want it more easily. Recycle: You can eliminate the amount of greenhouse gases emitted into the atmosphere by simply reducing the amount of waste your family sends to the landfill. Recycle glass, aluminum and paper products. Every step we make towards a green living lifestyle can have an impact! While it may seem that the earth is already doomed when considering how many greenhouse gases are already in the atmosphere, your efforts, along with the efforts of others, will have a significant impact on the future. The definition of global warming is, again, any increase in temperature experienced by the earth. It can be as a result of purely natural occurrences instead of your activities.